Would you like a desirable, practical and memorable product for selling, auctioning, or gifting? One made especially for you to promote your school, church, business brand, an occasion or even as an event announcement? 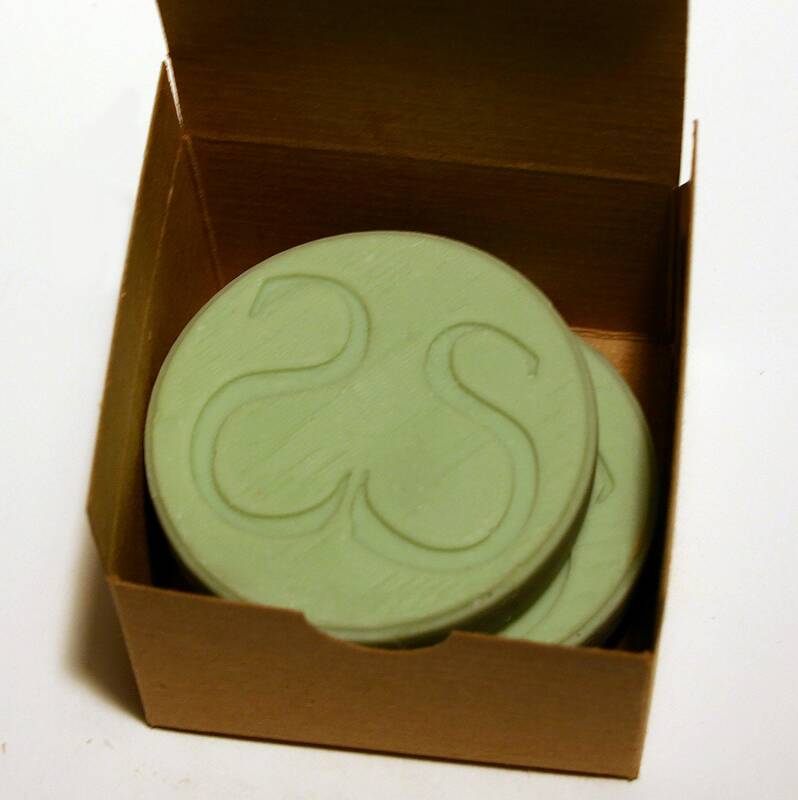 For fundraising purposes you can profit $350 to over $1,000 for your group or organization in the U.S.A. For only $6.25 per kraft gift box, you will receive 40 boxes with 3 custom designed soap bars in each box. A box can be sold or auctioned for $15 each. To increase your quantity to 80 or 120 boxes, select an option from the drop down on this page called Box Count. 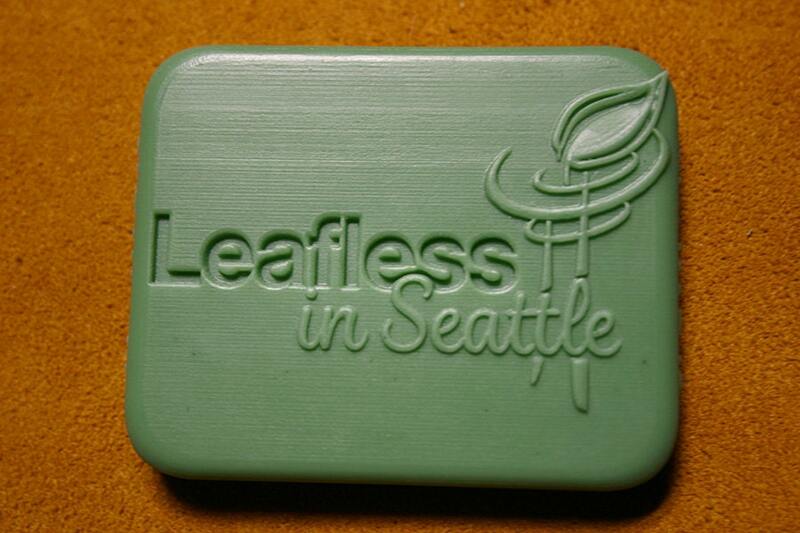 Your school or business logo is built into the design of the soap bar itself, not on the packaging. All design work is currently FREE with your order. This is a $335 value. 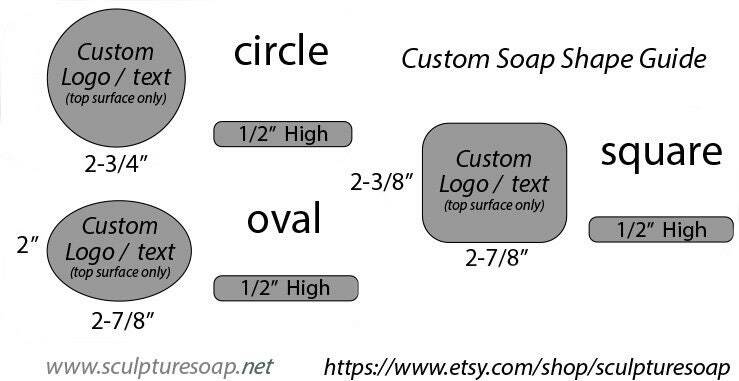 Every soap bar is 2 ounces and roughly 3” round (please see diagram). A perfect size for house guests and for traveling. Every soap bar is made with all-vegetable based ingredients. Choose from our standard scented colors from the list below and send us this information via Etsy Convo. 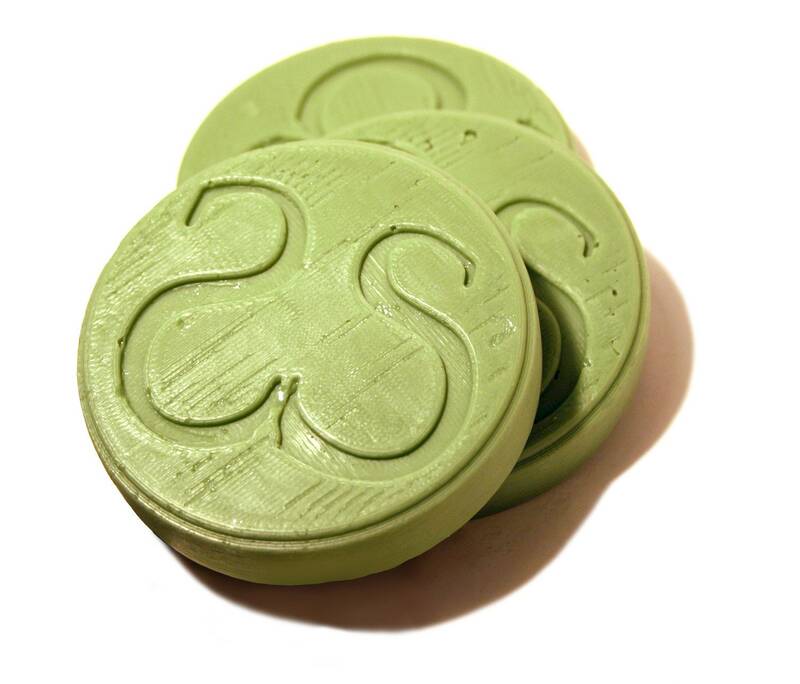 All soap bars will be colored and lightly scented to your selection. A custom scent can be provided with and adjusted price. SALES TAX and USPS Priority SHIPPING is included in this price. Shipping will show up as a 1 cent charge at check out. I will ship your completed order to any address within the U.S.A that you specify. Once your order is purchased, a custom model and a precise shape of your unique brand, name, or logo will be created. I will accept any art or photo reference material such as drawings, digital photos, or other image formats (jpg, png, ai, psd, bmp, tga) that illustrate your existing logo art or brand name. Here is one such example in full 3D. We will correspond with you every step along the way and include images that show our progress of the hand-sculpted or digital design that captures your brand idea. 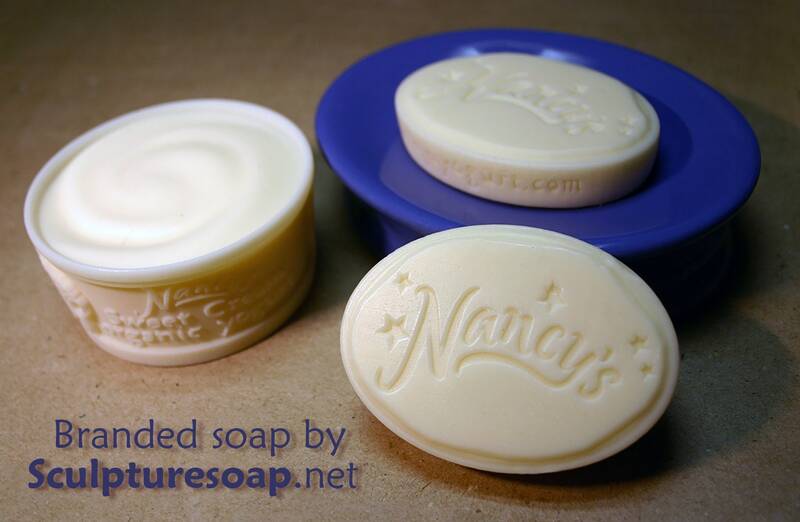 Your approval of the design is confirmed and than the sequence for duplicating your design using our scented soap formula begins. Every sculptural detail of the original design is captured in the final product. 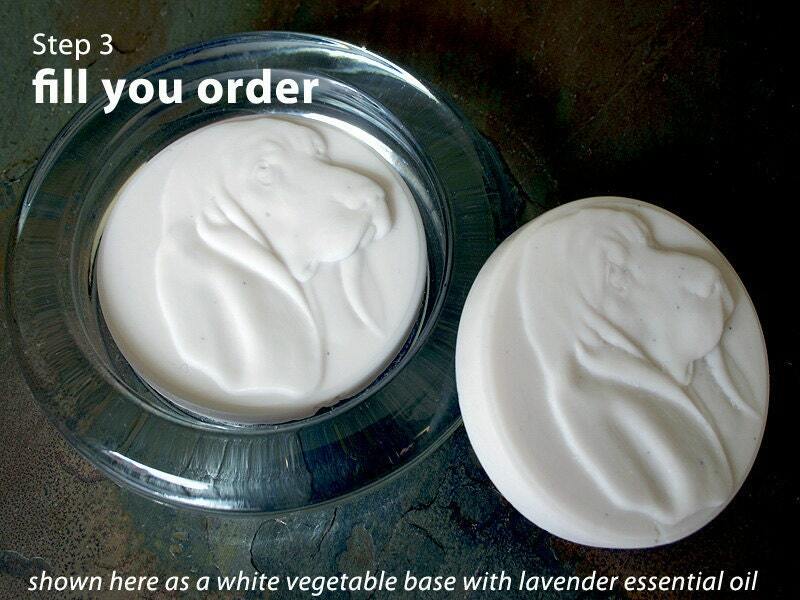 In 7 days from your purchase, I begin to fill your order with an all vegetable base opaque soap. It is than scented and color is added before it cures. Your order than ships within 3 days. Please Note: Because of our unique and extensive hand-made process, each bar may vary slightly in color and edge detail. At times, as with all soap bar products, this finished product may shrink up to 15% due to moisture lost when not in use.